The US Ambassador to Russia has discovered his photo on a stand used by supporters of opposition blogger Aleksey Navalny, who is currently running in the Moscow mayoral race. 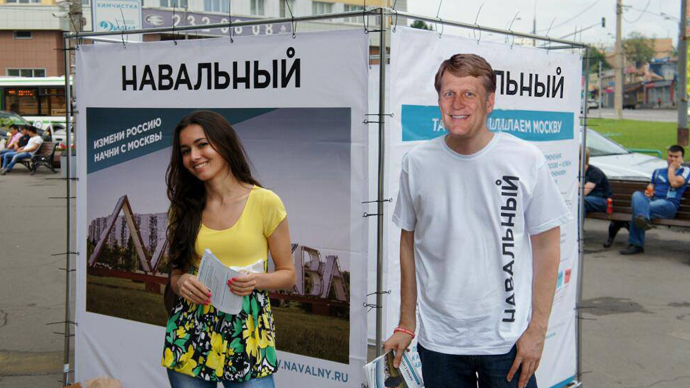 Michael McFaul announced the news on his Facebook page and posted a photograph with one of Aleksey Navalny’s campaign posters with life-size photographs of male and female supporters. 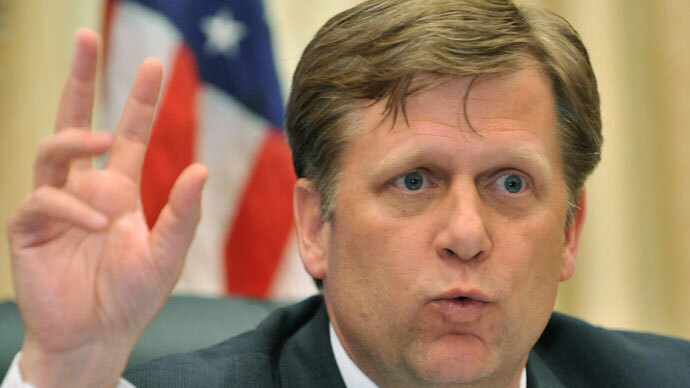 The male figure had McFaul’s face, either glued on the spot or photoshopped. The ambassador wrote that he received the picture from “someone” via twitter and the mysterious person asked him if the image was altered artificially. “Of course it is!”, the diplomat said. “But the mere fact that someone is asking such a question is depressing. Tragic that someone could even think for a moment that this photo is real,” McFaul elaborated before asking his Facebook friends to explain the situation. 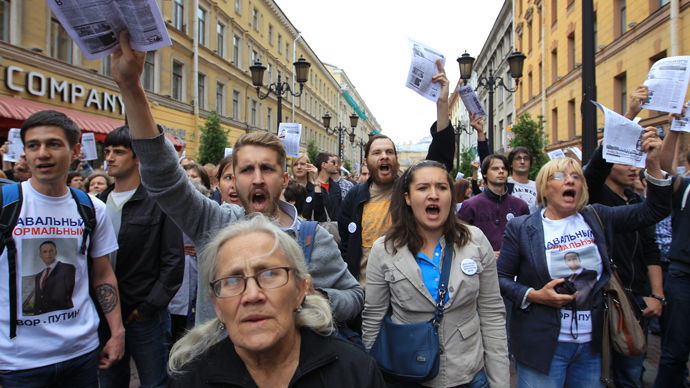 Facebook users’ suggestions ranged from mere hooliganism and “idiocy” to a deliberate anti-Navalny campaign launched by the bloggers’ competitors. However, the author of the latter theory did not explain why the alleged slanderers sent the image to McFaul instead of spreading it among the public. The situation with the ambassador was not the only scandal that developed around the mayoral campaign and candidate Aleksey Navalny this week. Late on Tuesday, city police reported that they seized about two tons of “illegal propaganda” from an apartment in the city center that they called Navalny’s electoral headquarters. The operation was prompted by a complaint filed by an anonymous citizen, but when police arrived at the scene another mayoral candidate – Nikolai Levichev of the Fair Russia party – also arrived with a team of supporters and a group of journalists. For several hours people from Navalny’s team remained behind the locked metal door and demanded that policemen produced a search warrant. Eventually law enforcers said that the neighbors noticed smoke emerging from the apartment, removed the door with a circular saw and got in. All the campaign materials were seized and four people who were in the apartment and unwilling to confirm their identities were briefly detained. They now face charges of refusing to comply with a police officer’s orders (an administrative offence with a maximum punishment of 15 days in jail). On Wednesday afternoon the Moscow police press service explained that they did not need a warrant to enter the apartment as it was being rented and the landlady had given prior authorization to enter the premises after officers contacted her and described the situation. The woman herself confirmed this in an interview with Izvestia daily. Also in the afternoon a Moscow court imposed a 1000-rouble (about $30) fine on each of two of the detained activists for hindering law enforcers’ work.One more supporter of Navalny was sentenced to 10 days of administrative arrest. One of the reporters who was covering the events from the stairwell said that he was physically attacked by a man from Levichev’s team, while Fair Russia insisted that the journalist himself attempted to start the fight. So far the mutual accusations have not sparked any criminal proceedings. 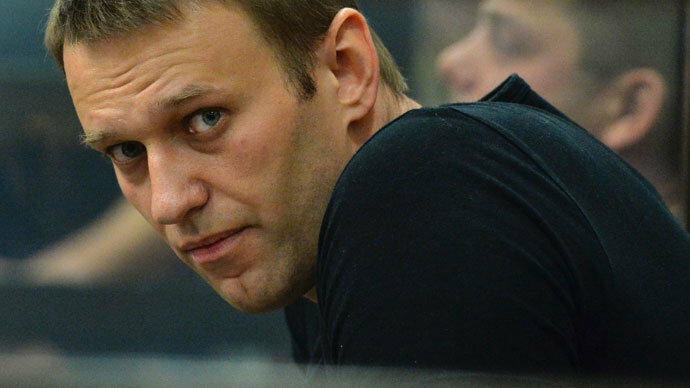 Navalny’s official elections HQ said that the detained activists were acting on their own initiative and did not coordinate their work with Navalny or his representatives. They, however, noted that the actions of the would-be promoters were absolutely legal. The Moscow Election Commission, on the other hand, has said that the discovered materials had been made with violations. Part of it, for example, did not bear labels identifying the organization that had commissioned the printing. The rest of the content was marked as Navalny’s official materials, although their quantity was larger than officially reported. To this, the head of Navalny’s HQ Leonid Volkov noted that the slogan on the stickers in question (“Do not lie and do not steal”) bore no particular names and therefore cannot be considered campaign materials at all. Moscow mayoral elections are set for September 8. 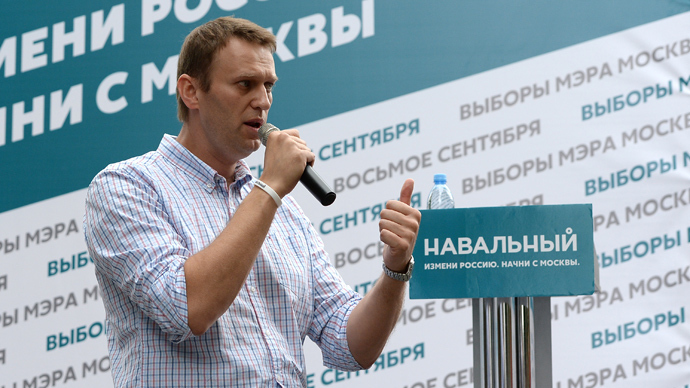 According to the latest opinion polls, Navalny, who is running for the liberal pro-market bloc SPS-PARNAS, can claim support from about 15 percent of the electorate. Only 0.5 percent of Moscow residents said they were going to vote for Nikolai Levichev, who is running on the ticket of the center-left Fair Russia party. Incumbent acting mayor Sergey Sobyanin, running as independent but backed by parliamentary majority United Russia leads the polls with over 74 percent of potential voters.